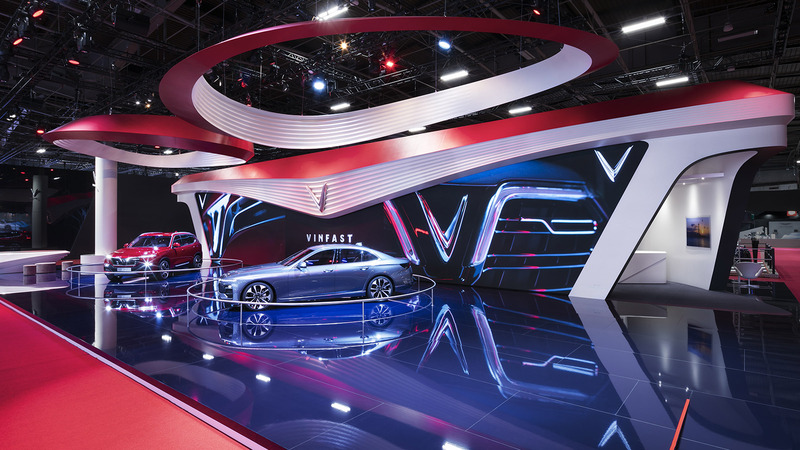 Vinfast made its debut in great style at the Paris Motor Show with a booth entirely designed by Pininfarina. The project is part of a 360° partnership aimed at creating a unique customer experience across different touchpoints. 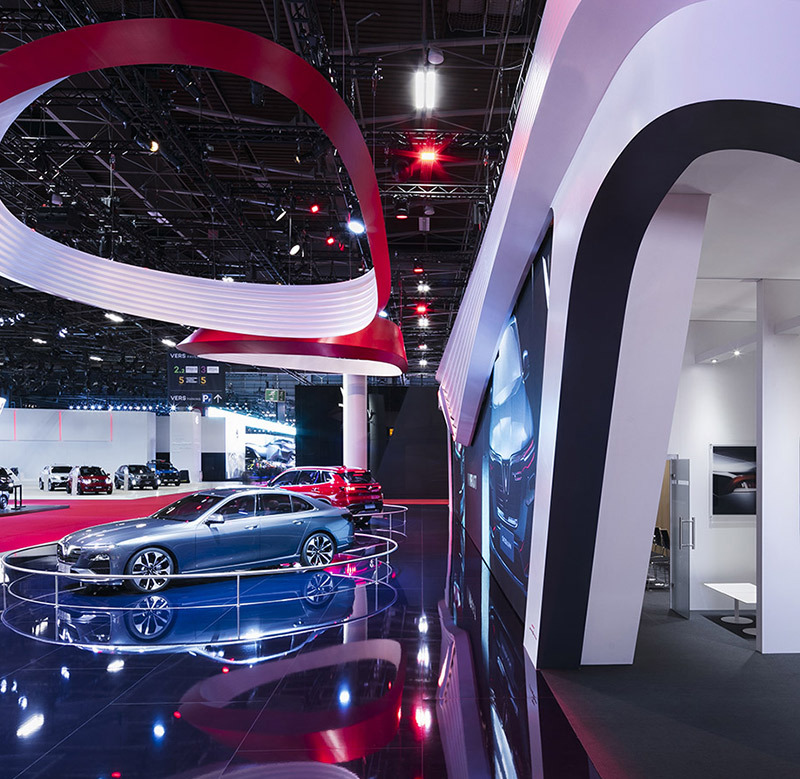 Pininfarina was indeed in charge to design the vehicles exposed in the booth – LUX A2.0 sedan and LUX SA2.0 SUV -, develop a specific brand identity, and extend the design language up to the go-to-market phase. The uniqueness of Vietnamese lacquer art and elegance is expressed through the VinFast booth. 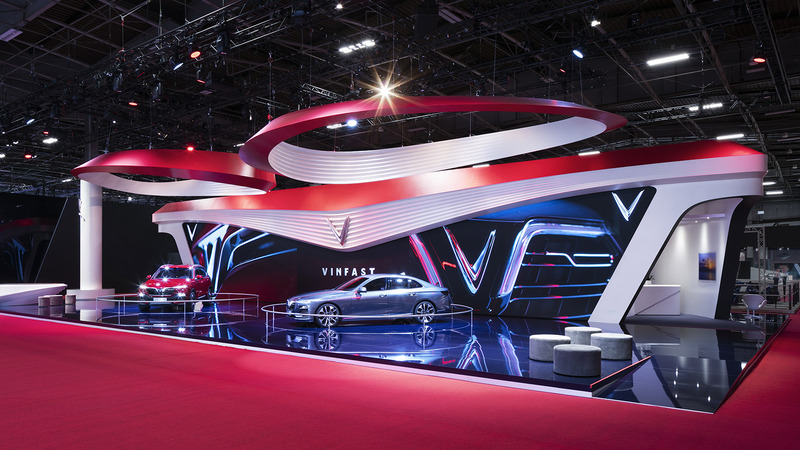 A space highly iconic, powerful and magnetic which allows the cars to be unveiled as in a theatrical scene behind modern drapes. 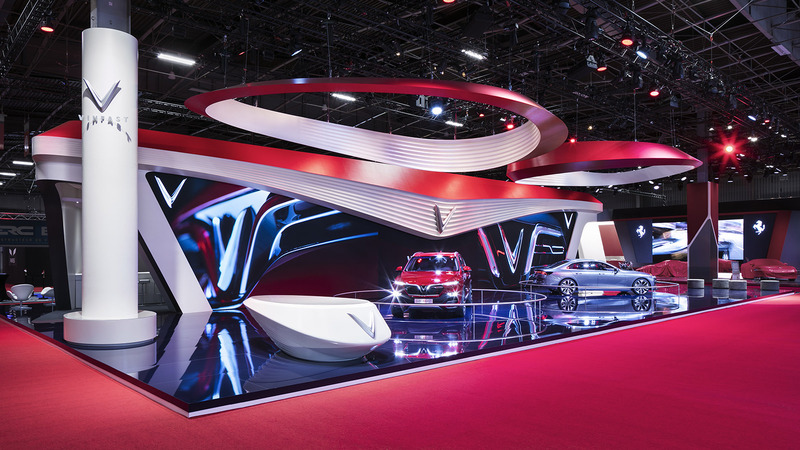 The booth wants to be a bespoke design piece for the cars. 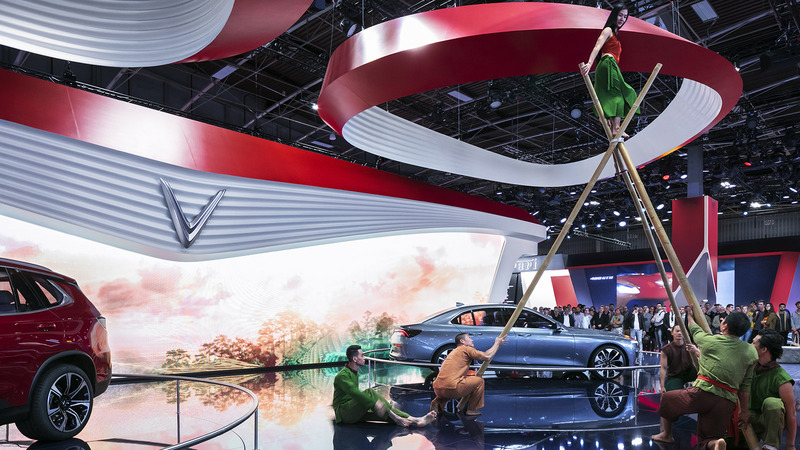 Continuous screen are merged with sinuses shapes creating an immersive space where VinFast is perceived as the Vietnamese Hero. 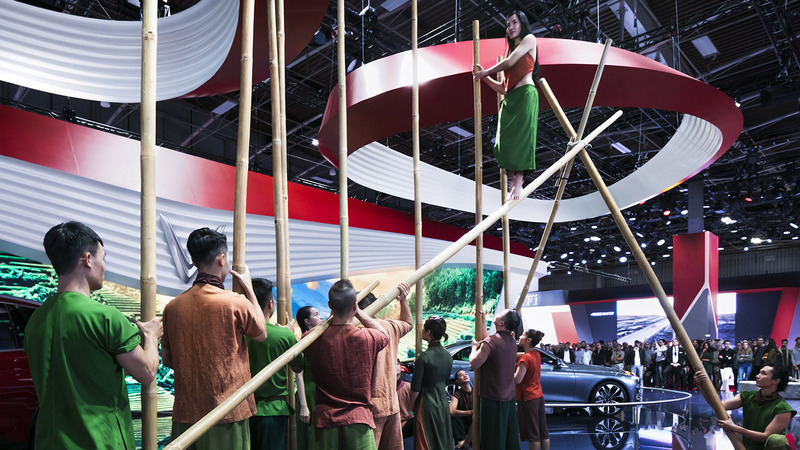 Moreover, two rings floating high above the cars are designed to catch visitors attention from far and disappear once closer. 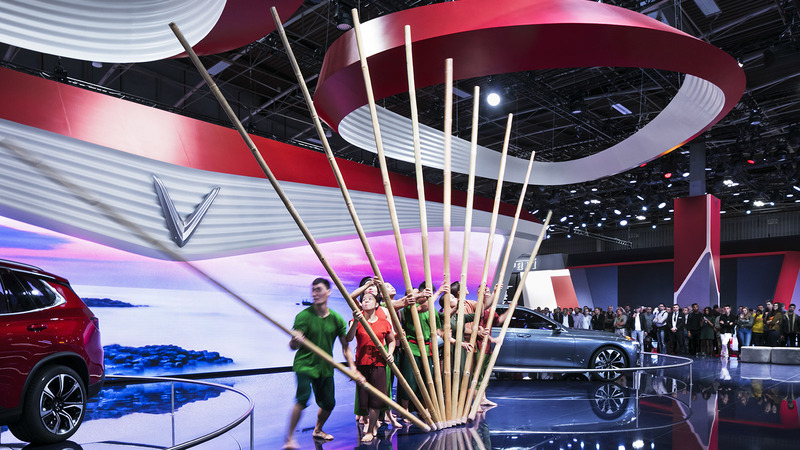 The red lacquered color links the guest to the Vietnamese tradition, while the white emphasize the technological aspects of the Country. 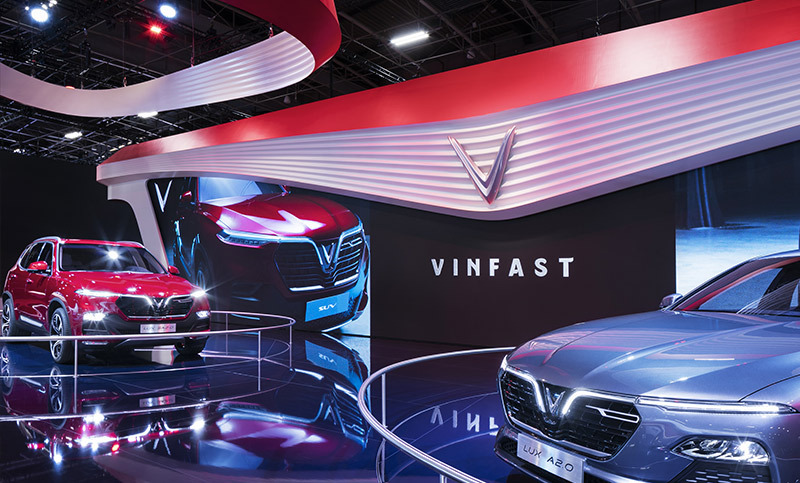 Being VinFast a brand-new car company developing its first own range of world-class vehicles, Pininfarina has defined for them a recognizable brand identity and developed a specific design language that you will find in all the next VinFast models, such as the unique V logo in the grille, which references the country of Vietnam, as well as the Vingroup and VinFast brands. 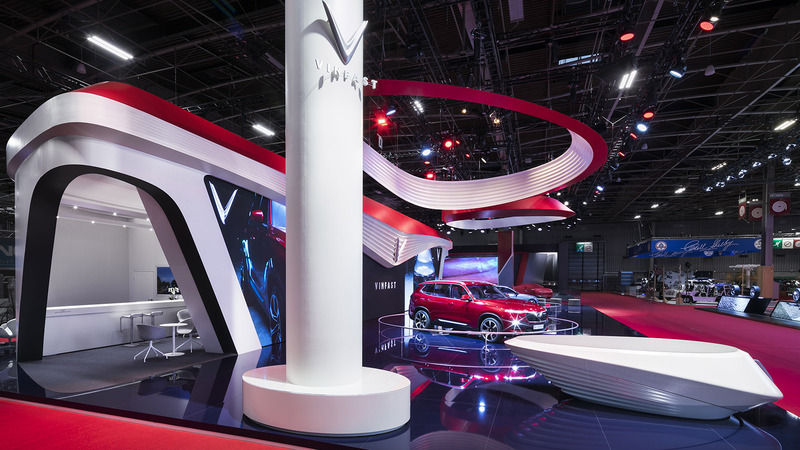 Pininfarina has then developed the exterior and interior design of the new LUX A2.0 sedan and LUX SA2.0 SUV and has manufactured in its atelier in Cambiano, Torino, the two showcars that VinFast unveiled in Paris. 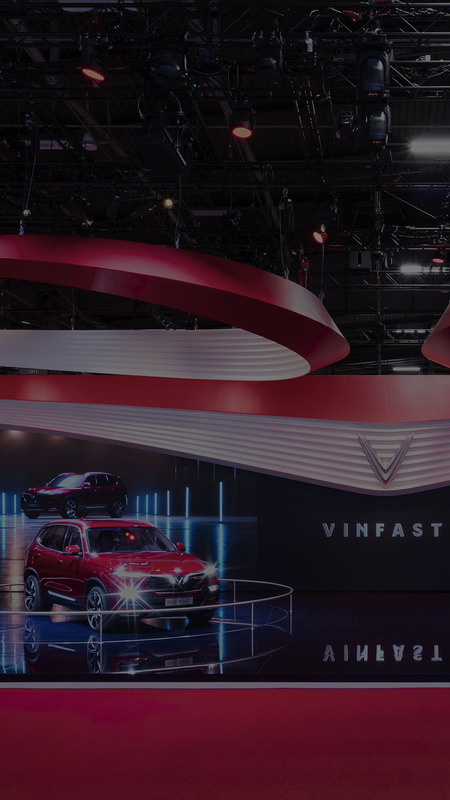 Leveraging its experience and skills into architecture, interior design and experiential spaces, Pininfarina has also designed VinFast booth at the Paris Motor Show and it will guide the client towards the go-to-market phase designing the new VinFast dealerships.